Veg-to-Bowl is a grain-free pre-mix of nine different vegetables and herbs that when mixed with protein and oil makes a complete meal for companion dogs.
" Skipper is now 11 yrs old and for the last 5 yrs has suffered from allergies in the fall, which have gotten worse every year and last from September to January…in addition to putting Skipper on a healthy diet of Veg-to-Bowl, he talked to me about the Chinese herbs, Astragalus and Cordyceps…after that he became symptom-free in October and has been well since then!" Testimonial Image of Donna Madden-My German Shepherds are my Co-Pilots"
Donna Madden-My German Shepherds are my Co-Pilots"
“My seven-year-old German Shepherd has been plagued for years with itchy, scaly and uncomfortable skin… We tried everything…After 8 weeks on “Veg-to-Bowl” mixed with raw meat, she is doing great!!! *Hot spots are gone, itching is gone and her energy level is way up!!!! I encourage anyone that really loves their animals to please try Dr. Harvey’s products." 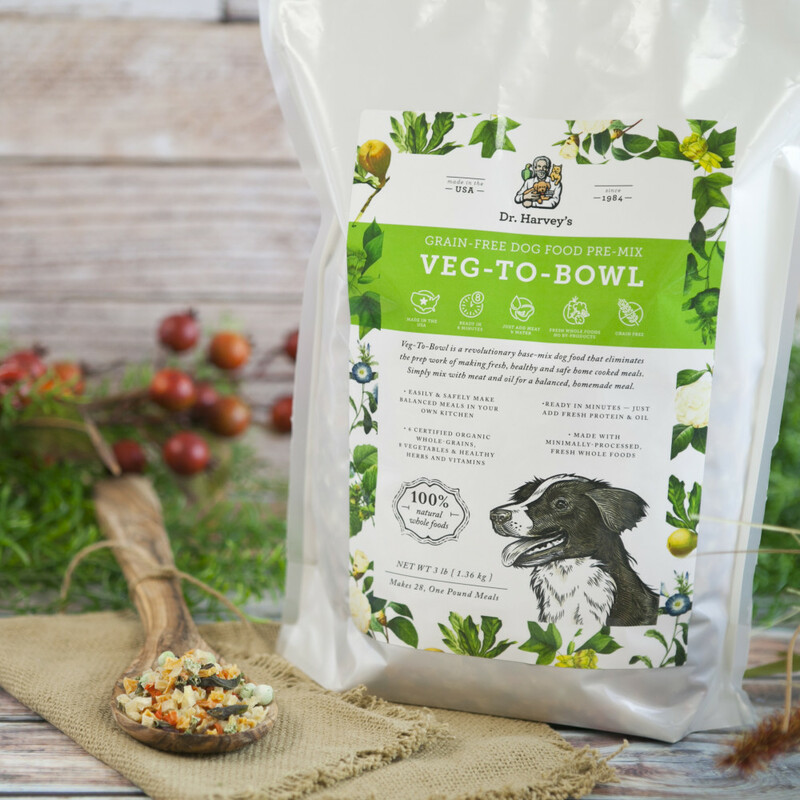 " I really had to email you to thank you for creating “Veg-to-Bowl”…After many upset stomachs and a ton of itchiness and ear infections, we found a veterinarian who figured out that Corky had allergies. 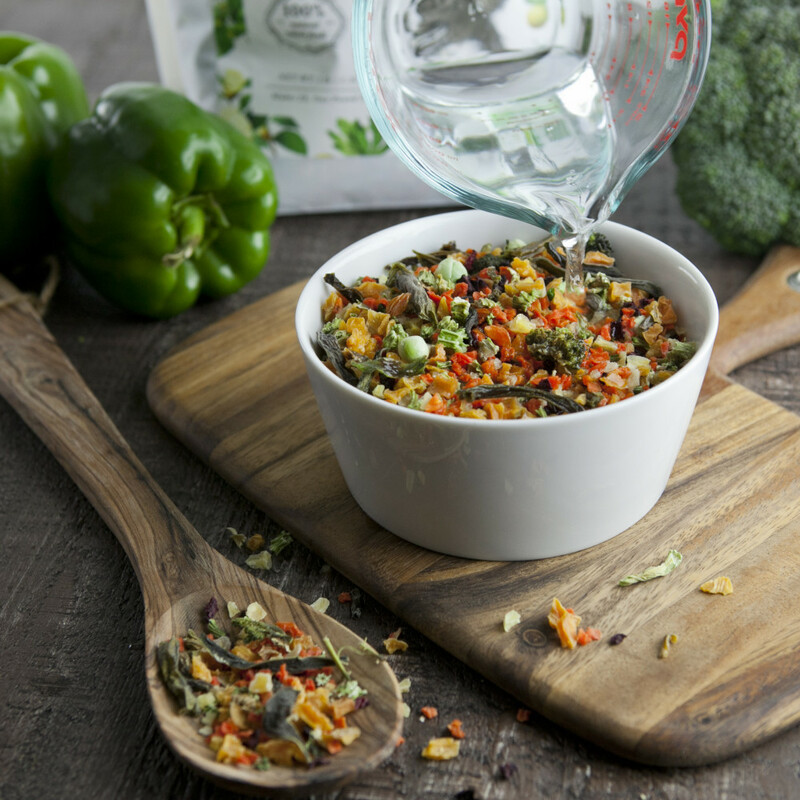 We tried many different foods and nothing worked…we decided to give “Veg-to-Bowl”l a try. It was like an instant transformation. He is no longer itchy, at the perfect weight and no longer has an upset stomach! His coat looks and feels amazing." We introduced her to Veg-To-Bowl on November. The change has been dramatic. More energy & no more weight gain. No more skin bumps or scratching & less shedding. AND no seizures now for almost 7 weeks – a record!!! We, and of course, Sage could not be happier!… Sage deserved this, after all she had been through at a puppy mill and is a beautiful dog! “My older dog, GN, will be a 13-year-old dog in April. I can’t believe I can tell he is going to have another birthday! !…The vets were expecting a few months left for him. Chemotherapy was not going to help much so I refused it and decided to give him just simply the happiest days for the rest of his life. That was when I had to order Veg-To-Bowl. His appetite was bad and Veg-To-Bowl was the only thing he would take without complaint. To make the long story short, he is free from the tumors! Dr. Harvey suggested Kefir, Veg to Bowl l and cooking Chicken slightly. I just couldn’t get her to eat. She was so ill.
Two months later after keeping her on this diet, MeMe had lost her eye staining, was growing her coat, and begging for food. By 6 months she was eating raw. I have not seen a Vet in nearly a year. In addition, she is healthy and that’s the best part! “Shanky is a 10-year old white Peke who ALWAYS had joint problems, constantly brown under eye areas, and the worst breath imaginable. I had no idea that any food could make such a difference!…He’s incredibly picky! But now, with Veg-to-Bowl, breakfast lunch and dinner come every day and he can’t wait to eat! He was very picky…I was excited yet apprehensive due to my many previous failures. He licked the bowl clean! This was a great find for me because none of the premium dog foods interested my boy. It smells so good I feel like I, too, could eat it! Seriously! I’ve also noticed a noted difference in him: he is no longer lethargic and has more energy, the luster on his coat is improving, his bowel cycle has normalized and most important, I’ve seen a sharp decline on his mini-seizures. Veg-to-Bowl is a grain-free dog food pre-mix made with nine different vegetables that when mixed with protein and oil makes a complete all-natural dog food for companion dogs. Veg-to-Bowl really easy to make! It’s incredibly healthy and absolutely delicious! Once you see how Veg-to-Bowl looks and smells you will never go back to dog food again. You will also see the difference it makes in the way your dog looks. 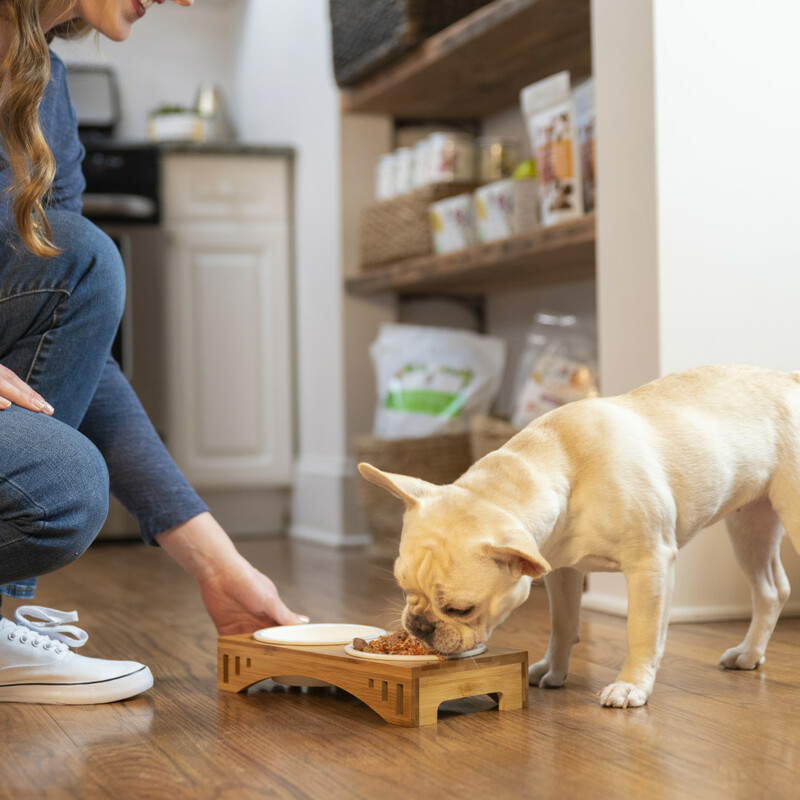 Feeding fresh food is the very best way to feed your companion. What you need to know about the ingredients we use! 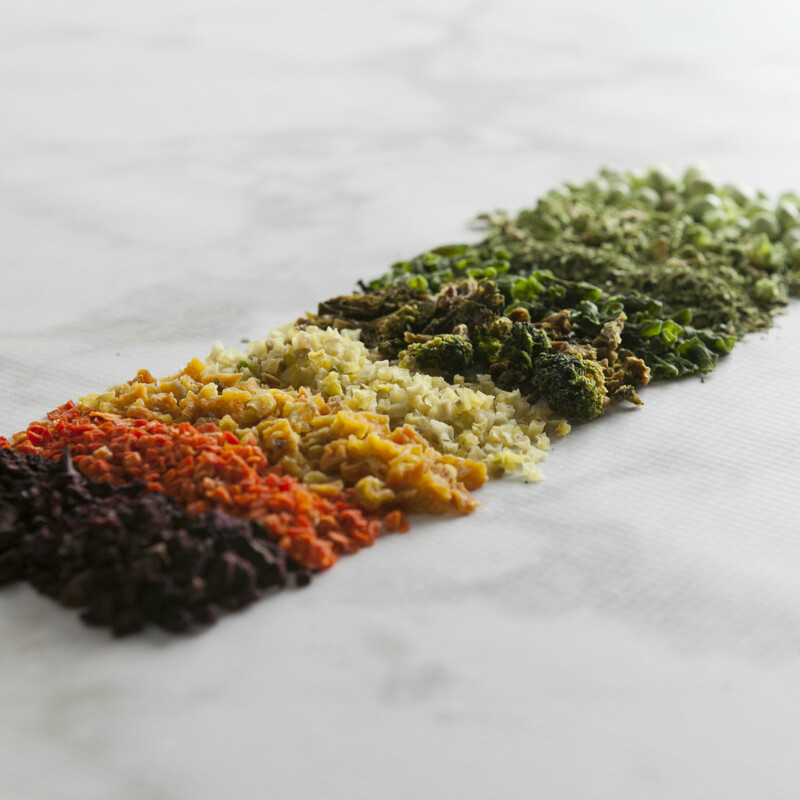 Is natural with vitamins and minerals and uses the finest dehydrated and freeze-dried vegetables. Is free of all preservatives and additives, coloring agents and dyes. Is free of sugar and salt. Contains no fillers, no corn, no wheat,no soy. Veg-to-Bowl is perfect for Raw Diets. 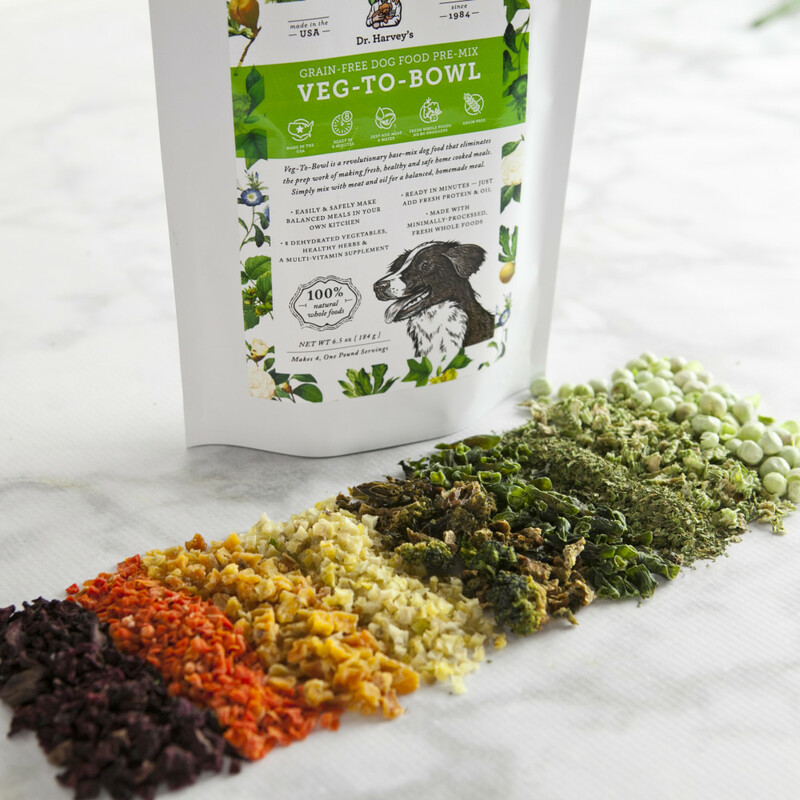 Veg-to-Bowl is so easy to prepare and so wonderful for your dog you will see the benefits of feeding this way almost immediately. 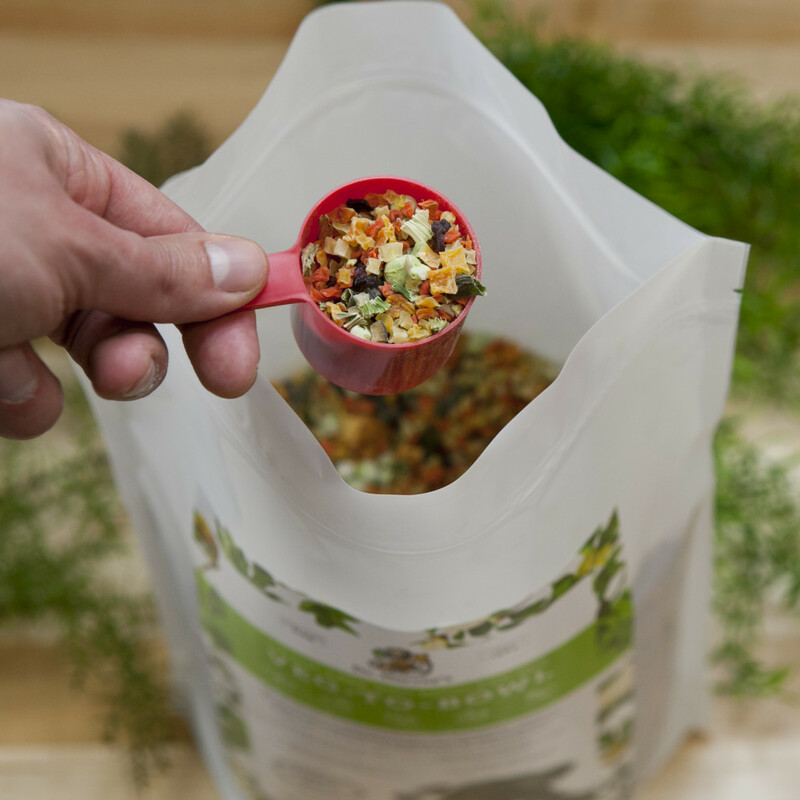 Each Bag comes with detailed feeding instructions and a measuring scoop. A scoop is included in each container. Obesity in Dogs is a Serious Problem. Although dogs may not complain about it, being overweight hurts your dog every day. Excess weight weighs on all the parts of the body including joints and all of the internal organs. Correcting obesity is not difficult. We have seen thousands of dogs lose the needed weight and regain their health by switching to an all natural diet. 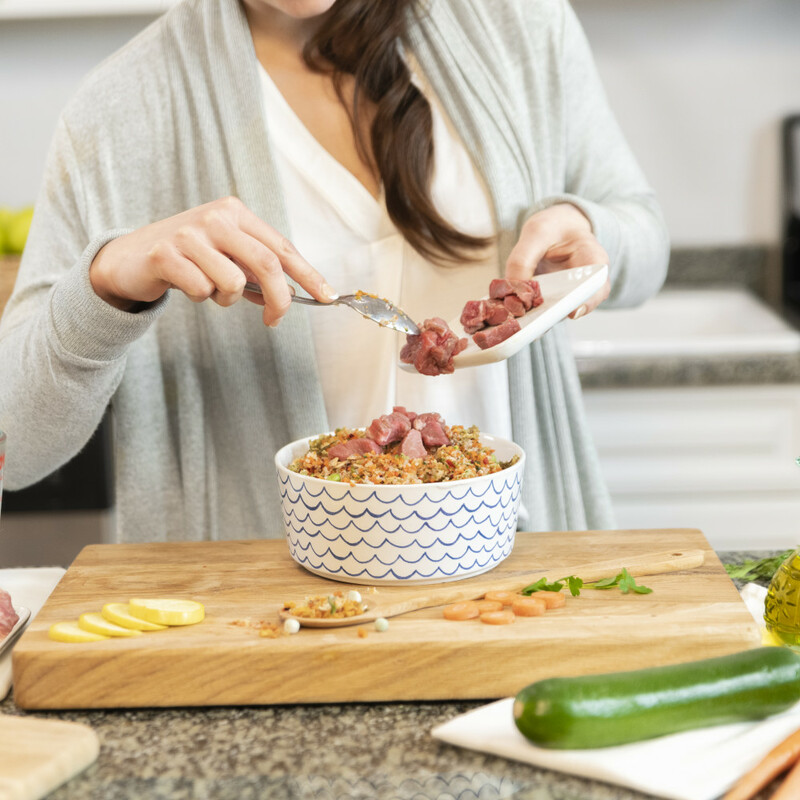 Veg-to-Bowl makes the process of weight loss so much easier by providing a lower calorie, highly nutritious base for a home-cooked meal that will help your dog lose weight in a gradual, steady and extremely healthy way. 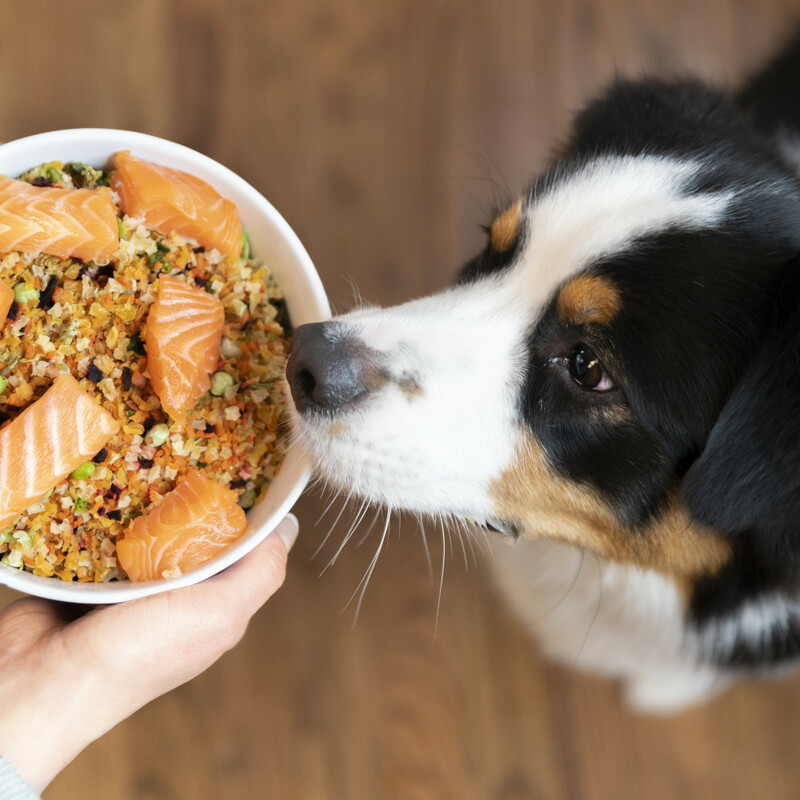 There is no healthier food for your pup who may need a low protein diet. 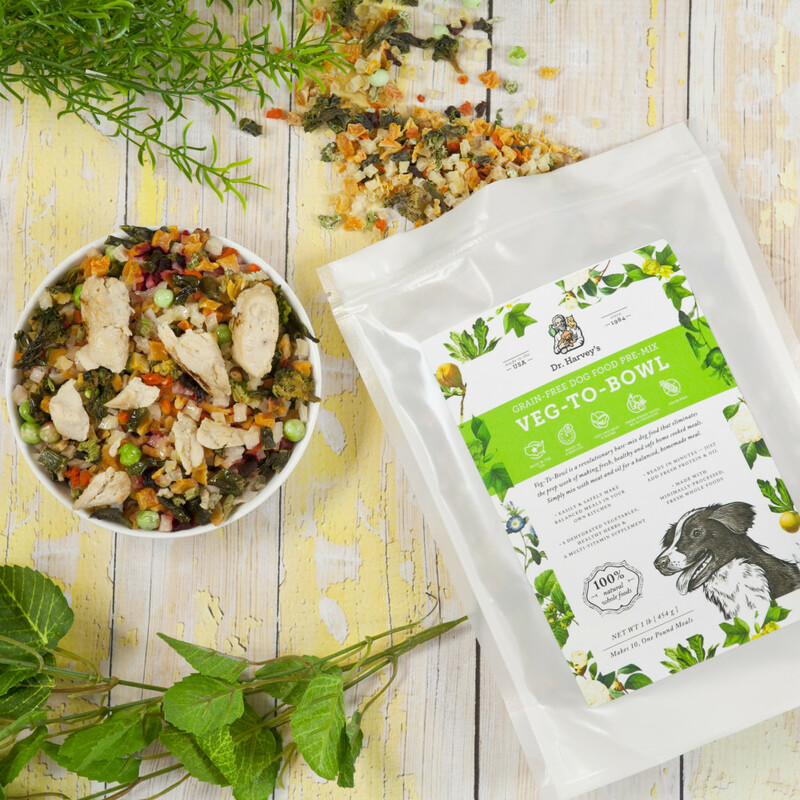 For dogs with low kidney function or renal failure, or for any dog needing a low protein diet, Veg-to-Bowl is ideal, because you make this food fresh every day you have total control over the amount of protein, the quality of the protein, fat and calories. This can be made specifically for your dog’s breed-type, size and age and condition. Results have been amazing for dogs with renal problems who have switched to a chemical-free fresh diet. There is real help for your dog with real food instead of any prescription diet. 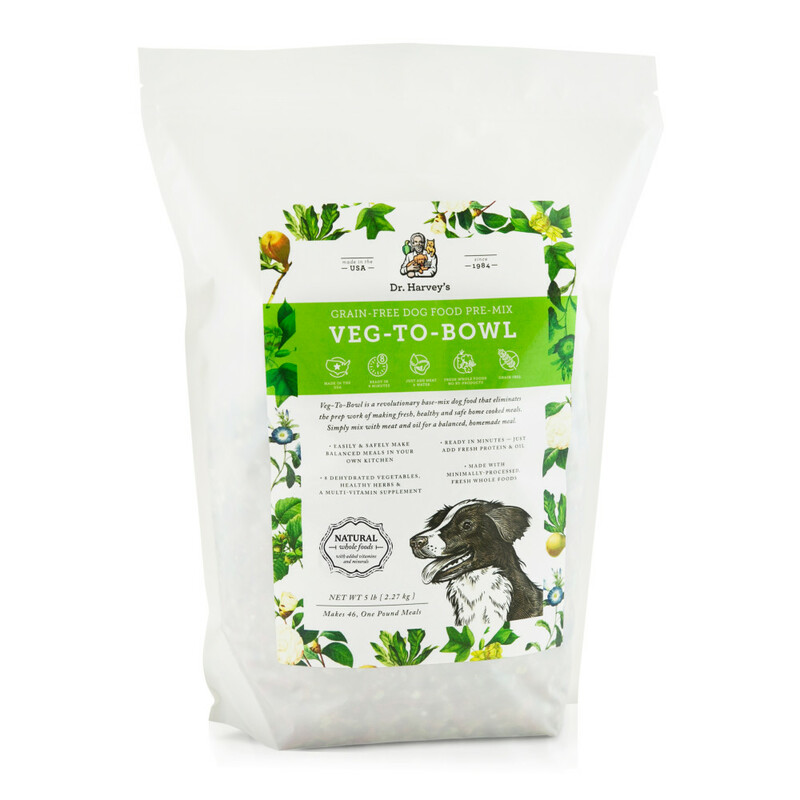 Veg-to-Bowl is known for its remarkable ability to heal all types of problems with dogs’ digestion. Chronic diarrhea, vomiting, constipation, loose stools and gas can all be eliminated in a very short time, just by switching to Veg-to-Bowl. Yes. It is true. Most allergies can be completely cured just by changing foods. We have seen the remarkable improvement when preservatives and chemicals are removed from animal diets. Read more about help for allergies here.